The Yangtze River is considered the mother river of Chinese civilization, and it continues nourishing life along both banks to this day. With a total length of more than 6,300 kilometers, it is China’s longest river, traversing from the west, through the central regions to the east coast. It has the greatest volume of water, the longest route and the richest water resources in Asia. The Yangtze River Economic Belt covers 11 provinces and municipalities including Shanghai, Jiangsu, Zhejiang, Anhui, Jiangxi, Hubei, Hunan, Chongqing, Sichuan, Yunnan and Guizhou, spanning a total area of about 2.05 million square kilometers. The region, which accounts for more than 40 percent of both the country’s population and GDP, is not only one of the most important economic centers and growth engines in China, but also a key player in the Belt and Road Initiative. Bureau of the Communist Party of China (CPC) Central Committee. By then, the Yangtze River Economic Belt had been formally launched. It is one of China’s three major development initiatives alongside coordinated development of the Beijing-Tianjin-Hebei region and the Belt and Road Initiative. 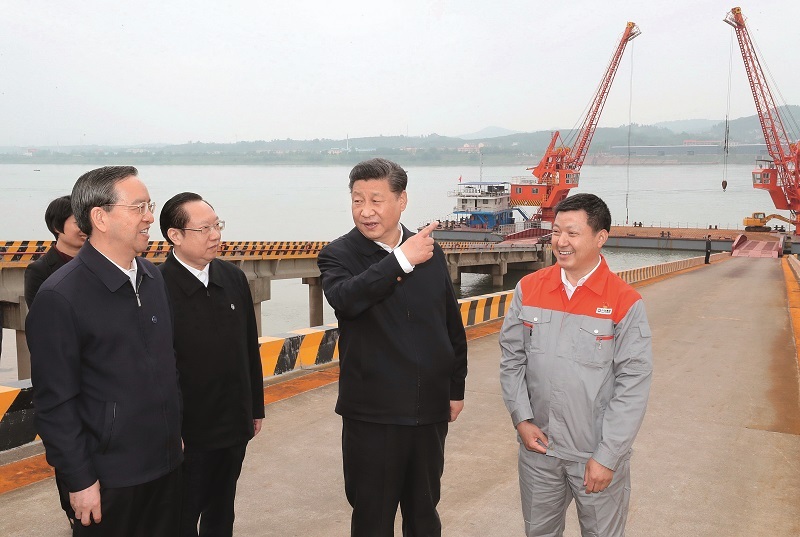 “We must make restoring the ecological environment of the Yangtze River a top priority,” stressed President Xi Jinping, also general secretary of the CPC Central Committee and chairman of the Central Military Commission, setting the tone for the further development of the Yangtze River Economic Belt. On April 26, 2018, Xi chaired a symposium on promoting the development of the Yangtze River Economic Belt in Wuhan, capital of Hubei Province. There, he stressed that we must focus on the long-term interests of the Chinese nation, which means making restoration of the ecological environment of the Yangtze River a top priority. He also called for all-out efforts to protect the Yangtze River, saying that there should be no largescale development of the river. The ultimate goal is to make the economic belt into a golden seam featuring a more beautiful ecology, smoother transport, a more coordinated economy, a more integrated market and more rational mechanisms. The mission is to explore a new path that puts ecology first while pursuing green development, Xi said. The climate of the areas along the Yangtze River is warm and humid, with a wide range of rivers and rich resources. After the introduction of reform and opening up, the Yangtze River valley was listed as one of the earliest regions for development in China. Yangtze River Economic Belt to protect the river’s ecosystem has become an urgent task. He called for stopping unplanned development and capping total pollution discharge by relentlessly and severely cracking down on the illegal sewage discharging, sand-mining and other destructive activities that undermine the ecosystem along the river, and keeping such efforts high on the agenda. By focusing on green development by promoting ecological improvement, the Yangtze River Economic Belt will achieve sustainable development in the future. The Chinese civilization originated in the Yellow River valley. According to historical records, frequent flooding and wars along the Yellow River caused three large-scale population migrations southward. During the Song Dynasty (960-1279), the Yangtze River valley supplanted the Yellow River valley as the economic nucleus of China. the connections facilitated by the river to the central and eastern regions. by Liu Chan/Xinhua a good harvest, they could feed the whole nation. In modern times, the Yangtze River valley pioneered China’s industrial development, constantly refreshing and advancing the industrial mode, political system and ideology of the nation. In 1865, Li Hongzhang, governor- general of Liangjiang (covering today’s Jiangsu, Anhui and Jiangxi provinces and Shanghai Municipality) in the Qing Dynasty (1644-1911), opened the Jiangnan Machinery Manufacturing Bureau in Shanghai, marking the establishment of the largest westernization business in modern China which served as a prelude to the country’s modern industrial revolution. In 1899, Zhang Jian, noted for achieving the highest score in the 1894 imperial examination of the Qing Dynasty, founded the Dasheng Cotton Mill in Nantong, Jiangsu Province, in the lower reaches of the Yangtze River, which was one of the earliest cotton mills in China. Subsequently, more than 20 industrial and mining enterprises founded by Zhang Jian formed a complete light-industry chain, promoting the development of modern industry in China. In the 20th century, Shanghai, located at the estuary of the Yangtze River, became the economic and financial capital of the Far East. As a paradise for adventurers and the largest exchange platform between China and Western civilization, it was the first place for European fashion and ideas to be imported and spread to other parts of China. After 1949, cities along the Yangtze River such as Shanghai, Wuhan, Nanjing and Chongqing have continued occupied pivotal positions in China’s economic map. In 1990, the CPC Central Committee decided to open and develop the Pudong District of Shanghai to promote the economic development of the Yangtze River Delta and the greater Yangtze River valley. Since then, the Yangtze River Delta has remained at the forefront of China’s reform and opening up. The development of Pudong has carried a torch for the comprehensive development of the Yangtze River Economic Belt. Over more than 20 years of development and construction, the industrial development advantages of the region have been continuously strengthened, the strategic pattern of regional urbanization has taken shape, and its strategic position in China’s development landscape has become increasingly important. The Yangtze River is a golden watercourse with the largest freight volume among the world’s inland rivers, and the water channels of the river are the most important east-west axis for China’s regional development. The introduction of the Yangtze River Economic Belt has opened a new chapter for economic development of the region. The Chinese people have long compared the Yangtze River to a huge dragon: The city cluster around Shanghai in the Yangtze River Delta is like the dragon’s head, the city cluster around Wuhan in the middle reaches of the river its waist, and the Chengdu- Chongqing city cluster its tail. and vitality to the “dragon,” bringing coordinated development to the whole region. 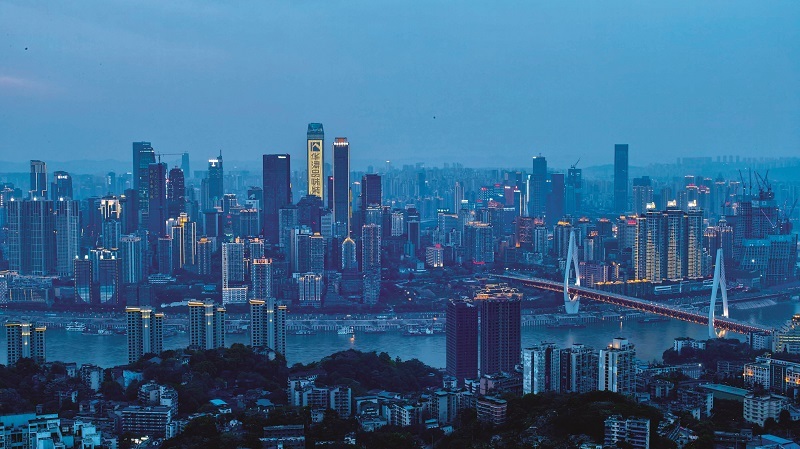 Located in the middle reaches of the Yangtze River, Wuhan is an important city connecting the upper and lower reaches of the river. At the Wuhan New Port, the direct shipping route to Shanghai’s Yangshan Port is the busiest, which enables cargos to be transported from Wuhan to Shanghai in 72 hours. The route is part of Wuhan’s direct shipping route project linking the middle reaches of the Yangtze River to the sea, which has greatly cut the time it takes to reach the ocean. The launch of the Wuhan-Europe freight train route, linking Wuhan to West Asia and Europe, connected the Yangtze River Economic Belt with countries along the Belt and Road. Starting from Wuhan, the Wuhan-Europe freight train route runs through the Alataw Pass in northwestern China’s Xinjiang Uygur Autonomous Region and finally reaches Hamburg, Germany, with a total distance of 10,324 kilometers, traversing more than a dozen countries in Asia and Europe. “It used to take about 45 days for sea freight to get to Europe, but now it only needs 12 days by freight train,” beamed Lin Zhengpeng, general manager of the Wuhan AOC DisplayTechnology Co., Ltd.
Only two years since the development plan for the Yangtze River Economic Belt was released, significant results have already emerged. After the implementation of the Yangtze River Economic Belt development plan, the share of the region in the national economy increased from 41.2 to 43.8 percent, up by 2.6 percentage points, noted Sun Changxue, director of the strategic planning office of the Macroeconomic Research Institute under the National Development and Reform Commission (NDRC). The guiding role of the national development plan is emerging, he said. The Yangtze River Economic Belt is greatly significant in promoting cooperation between eastern, western and central China as well as coordinating the river’s upper and lower reaches, providing important support for China to transform from a big country into a powerful country. 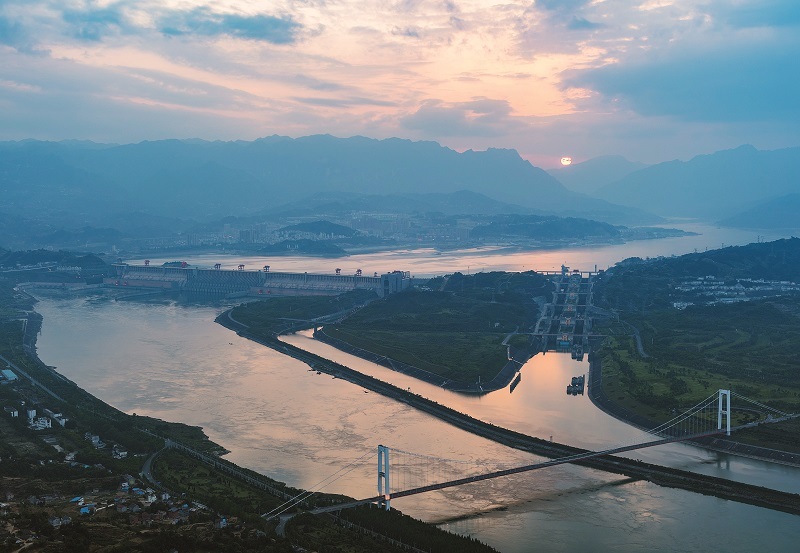 “We hope that the share of the Yangtze River Economic Belt will reach half of the national economy,” said Zeng Gang, president of the Urban Development Research Institute at East China Normal University. Compared to the coastal areas and other economic belts, the Yangtze River Economic Belt has the largest inland areas and the greatest development potential in China. With the support of the development plan, the region will surely become an engine for China’s future economic development.